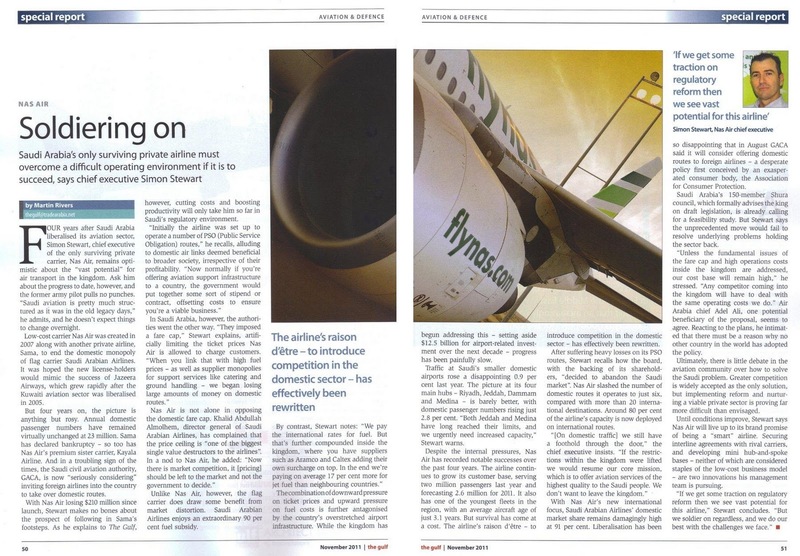 Four years after Saudi Arabia liberalised its aviation sector, Simon Stewart, chief executive of the only surviving private carrier, Nas Air, remains optimistic about the “vast potential” for air transport in the kingdom. Ask him about the progress to date, however, and the former army pilot pulls no punches. “Saudi aviation is pretty much structured as it was in the old legacy days,” he admits, and he doesn’t expect things to change overnight.